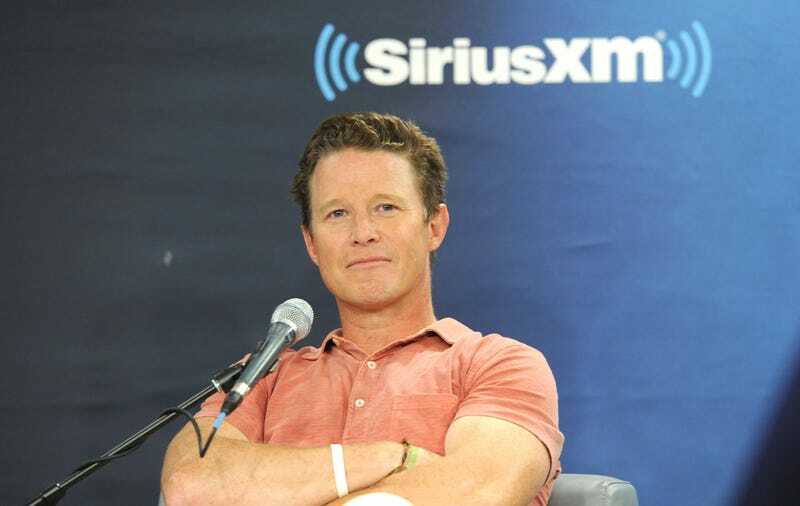 Billy Bush has been suspended from the Today show pending further review after a 2005 tape of him and Donald Trump sparked backlash. NBC's senior vice president, Noah Oppenheim, wrote in a memo: "I know we've all been deeply troubled by the revelations of the past 48 hours. Let me be clear—there is simply no excuse for Billy's language and behavior on that tape. NBC has decided to suspend Billy, pending further review of this matter." In the video, Trump talks about grabbing women's p—sies, and Bush jokes and laughs along with him. Bush did issue an apology Friday and said he was embarrassed. "Obviously I'm embarrassed and ashamed. It's no excuse, but this happened 11 years ago—I was younger, less mature and acted foolishly in playing along. I'm very sorry," Bush stated. During Bush's suspension, Al Roker is taking a seat in his place. “As you can see, Billy Bush is not joining us today,” Roker said in kicking off the 9 a.m. hour of the Today show. “As you're probably aware, part of the 2005 Access Hollywood taping with Donald Trump that’s been in the news all weekend." Oh … sooo petty. But sooo good!